The dana/spicer light duty differentials have a problem that’s not always easily fixed. 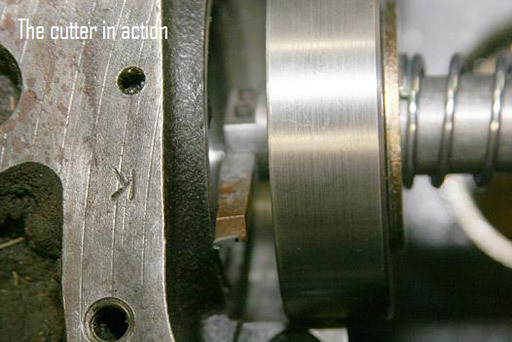 The carrier bearing on most dana/spicer diffs rides directly against the housing as opposed to some GM and Ford diffs that use a shim between the bearing and the housing. 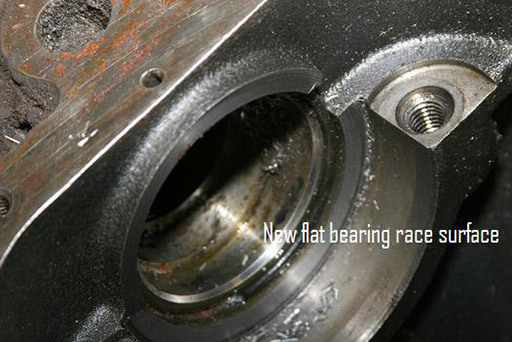 As the bearings wear, the race wears into the housing by spinning. 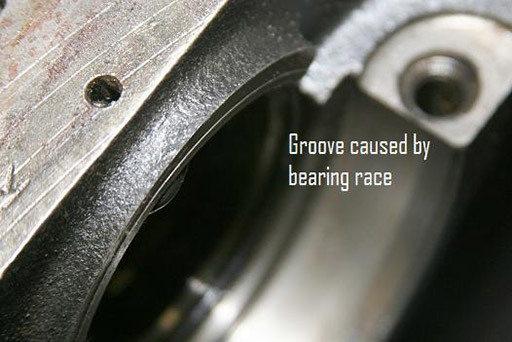 This causes a groove in the housing and also causes the carrier to start to walk side to side, which leads to some sort of humming or grinding noise. There is very limited tooling to fix this problem. Hence you are left with a couple of choices, replace the housing, buy the tools to fix it, or find a shop with the tooling to fix it. The first 2 choices are expensive, the latter is a more affordable way to fix the problem. CT AXLE, in conjunction with CL Design, a top rated machine shop, have designed and built a tool to fix the problem, which is in a patent pending stage now. This can be done in or out of the vehicle. By cutting a new surface on the affected side we eliminate the groove and end up with a new surface for the race to ride against. By using a log rod and arbors that center the tool, we can make a flat, straight cut. The cutter is a carbide tool, similar to those used in lathe work, held in place by set screws. By rotating the rod, the tool cuts down the high spots.